Denzel Washington has donated $2.25 million to his former university to fund a new scholarship. $2 million of the money will endow the Denzel Washington Chair in Theatre and $250,000 will establish the Denzel Washington Endowed Scholarship for an undergraduate student studying theatre at Fordham University. “Show me a successful individual, and I’ll show you someone who has had positive influences in his or her life. The late Bob Stone, my mentor, was a former actor and professor at Fordham University. Bob was one of those influences in my life. 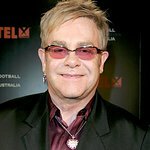 He believed in me and gave me something to live up to,” Washington said. "I wanted to create the Denzel Washington Endowed Scholarship and Chair in Theatre at Fordham in order to offer the next generation of students positive influences. Phylicia Rashad, as the inaugural holder of the chair, will provide the care, compassion and that extra push to help take students where they’re meant to go. 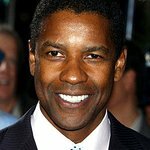 The first Denzel Washington Endowed Scholarship recipient will likely be announced in fall 2012. The scholarship is intended for a minority undergraduate theatre major, and if possible, a graduate from the Mount Vernon, N.Y., school district.